Holland Avenue Nursery and Landscaping (formerly R&R Nursery) has long been known for its unique contribution to the wholesale plant market on Vancouver Island. Our product selection is broad and varied, cultivated with the horticultural experience and expertise of owners Brian, Oliver and manager/designer Gail. 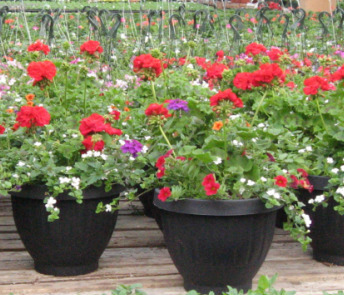 Combining dedicated care with skill, we design and grow high quality bedding, mixed hanging baskets, moss baskets, and containers – pleasing the eye and beautifying the world! Among our customers are garden centers, hotels, golf courses, municipalities, marinas, stores, gas stations and more. Our discerning clientele pay close attention to their environs and take advantage of Holland Avenue's vast and varied selection. What makes us a ‘Preferred Supplier’ is that we take special orders and supervise their growth and care up until time of delivery. This is a unique service we are happy to supply to our valued customers. 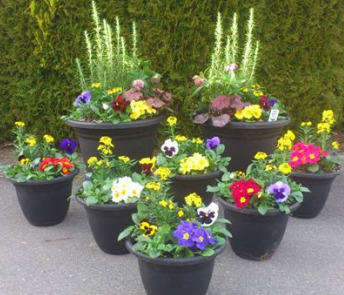 Chances are when you see eye-catching floral displays and settings outside hotels, stores, and public offices, Holland Avenue Nursery has been there! 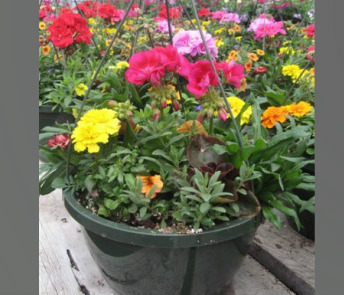 Come see what's growing just for you at Holland Avenue Nursery!